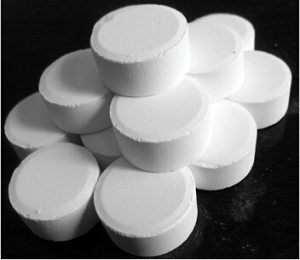 View basket “Biocide BR – Bromine Tablets” has been added to your basket. Safety Data Sheet emailed upon order. For business and contractors use only. 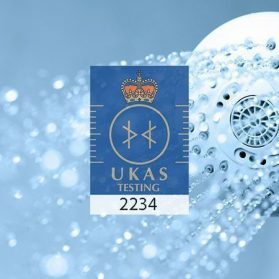 Product unsuitable for public & domestic usage. 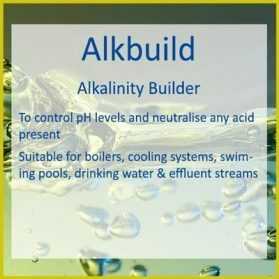 Product description and usage details below. 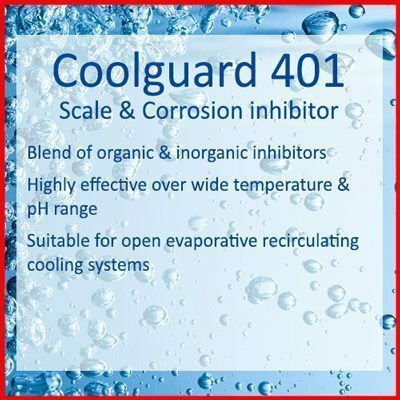 COOLGUARD 401 is an alkaline blend of inorganic and organic scale and corrosion inhibitors. 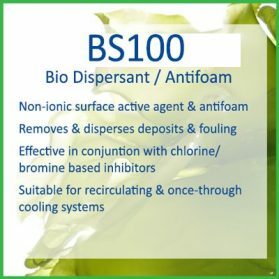 The product is stable over a wide range of temperature and pH variations and provides scale and corrosion control over a wide range of water qualities and operational conditions. Open evaporative recirculating cooling water systems. It is recommended at start-up and after system upset the product be dosed at 3 times normal dosage for a period of a week to promote rapid passivation. 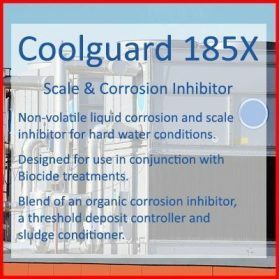 Coolguard 185X 7.5 - 9.5 300 - 600 200 - 600 100ml/m3 min Scale Inhibitor that requires a reasonable Temporary Calcium Hardness level to act as a corrosion inhibitor. 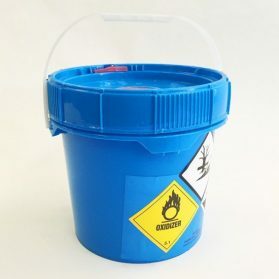 Not suitable for use with continuous chlorination/bromination. 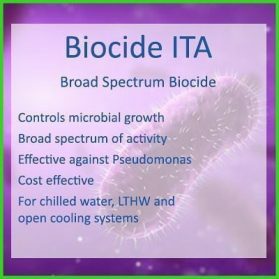 Biocide ITA – broad spectrum biocide suitable for the disinfection of closed, chilled and cooling systems. 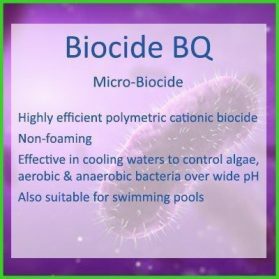 Biocide BQ – suitable for use in cooling systems and swimming pools. 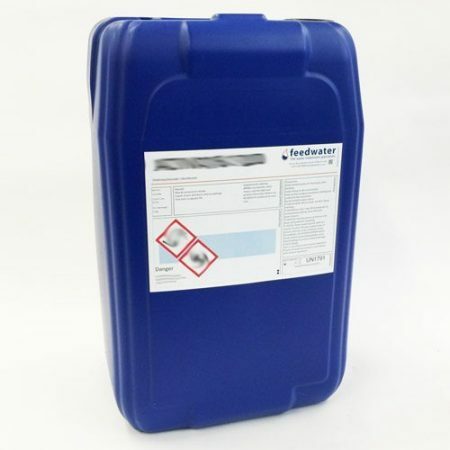 Take advantage of Feedwater’ servicing options and contracts when you buy our chemical products.